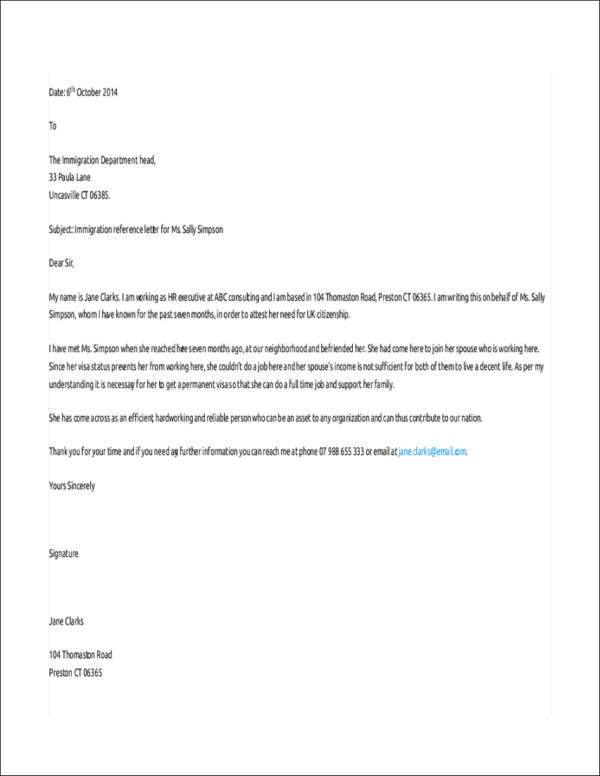 If you have been assigned or asked by someone to write a reference letter, you can refer to this article. 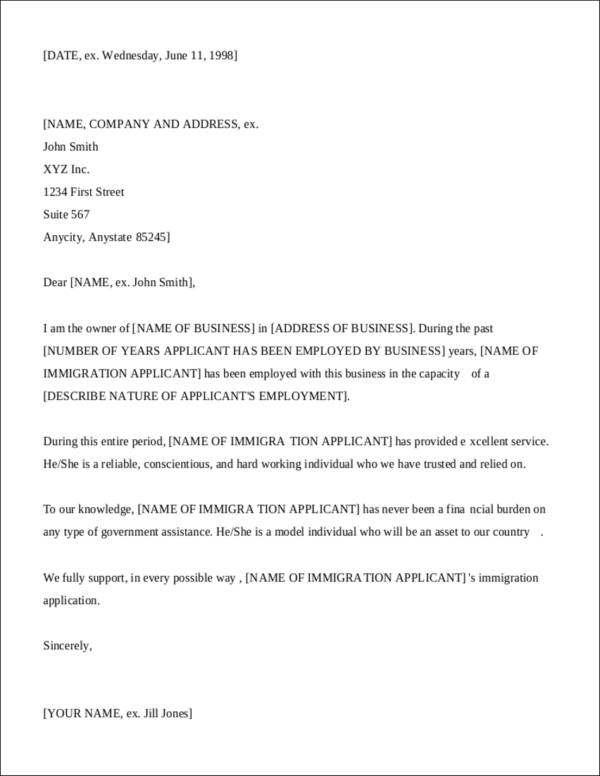 We also have a couple of sample letters that you can use as a reference if ever you find yourself having a hard time coming up with a good immigration reference letter. Stay tuned and keep reading our tips. The reference letter you will be writing will serve as a support to the person’s good moral character. In writing one, you should make sure that you take an ample amount of time writing it. Make sure you choose your words carefully. Follow this guide in order to come up with a good reference letter. 1. 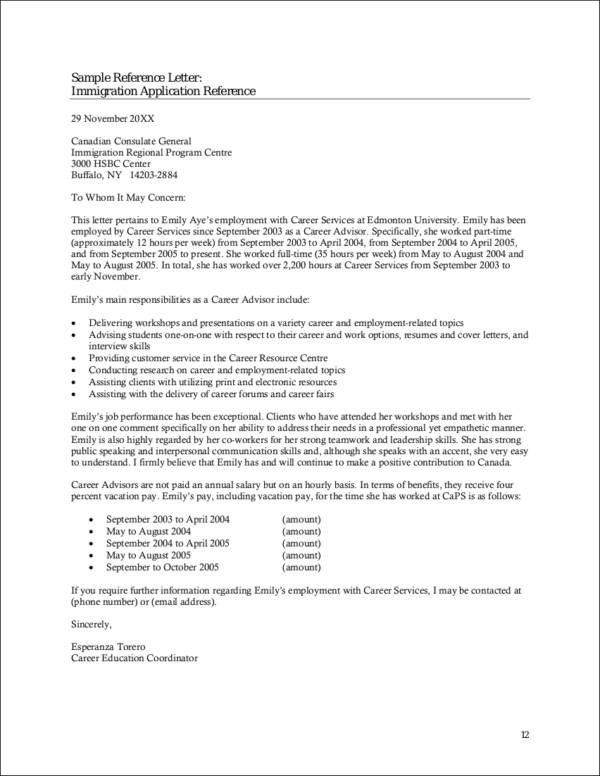 Make sure you know what the purpose of this reference letter is. Make sure you ask the requesting party what the letter is for. 2. Set up a meeting with the requesting party. Do not hesitate to schedule a meeting with the requestor. You can ask him to give you a checklist of points that need to be included and highlighted in the letter. You may also ask for a job resume, especially if the requestor is migrating for work-related reasons. 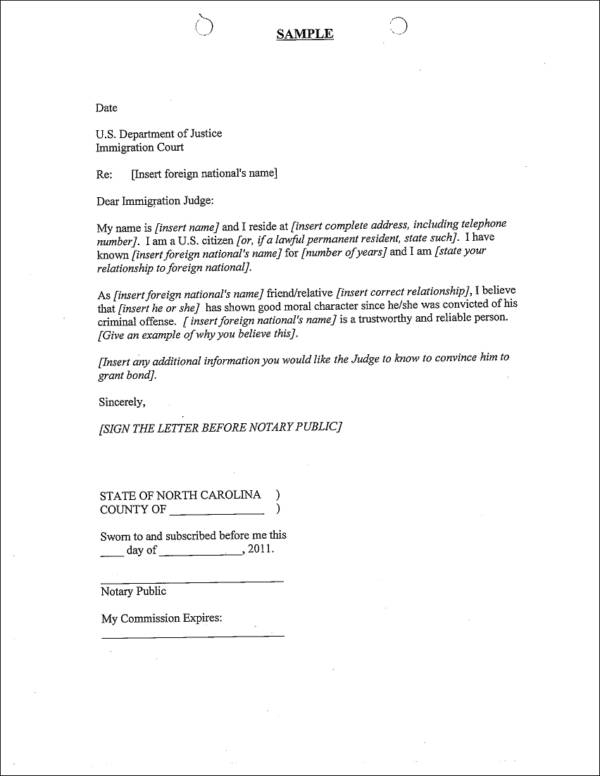 Other supplementary documents can also help give you an idea about what you can write in the letter. 1. Start with the date and the salutation. Write down the date when you made the draft then follow it with a salutation. 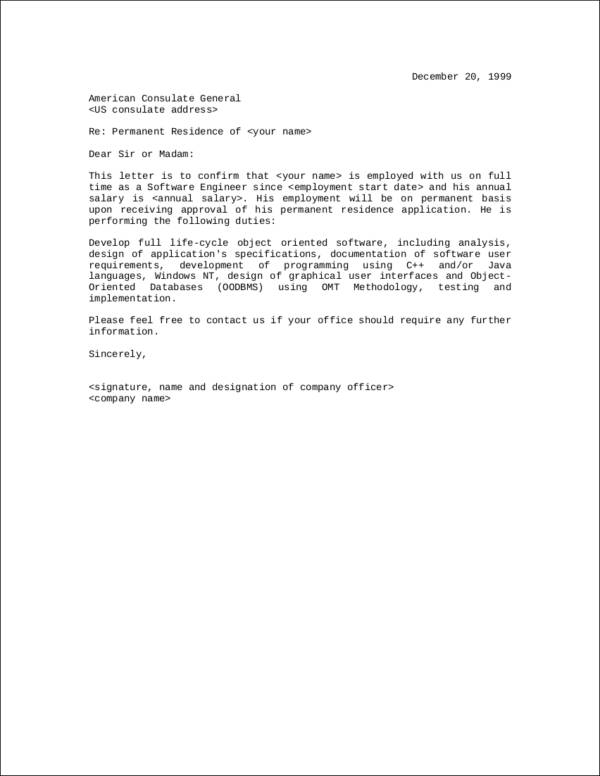 You may also start with a company letterhead or a company stationary if you are the boss of the requestor. 2. Give a brief introduction. Introduce yourself to the reader.Include your name, profession, and a brief background about your relationship with the requestor. Also, include relevant dates, locations, and job titles. 3. Give them an idea about the applicant’s character traits. 5. Leave important contact details. Quick Tip: If you want your letter to be more concrete and more reliable, getting it notarized will help you out big time. Getting your letter notarized ensures that any doubt about your claims and your identity will be avoided or will be kept to a minimum.You may also see student reference letters. 1. If the requester is migrating for employment reasons, talk about his/her economic value and how he/she would be a good addition to the economy of the new location. You can also talk about his/her hobbies that make him/her unique.You may also visit Email Reference Letter Templates. 2. If the requester is migrating for a relationship, talk about what you know about the relationship. 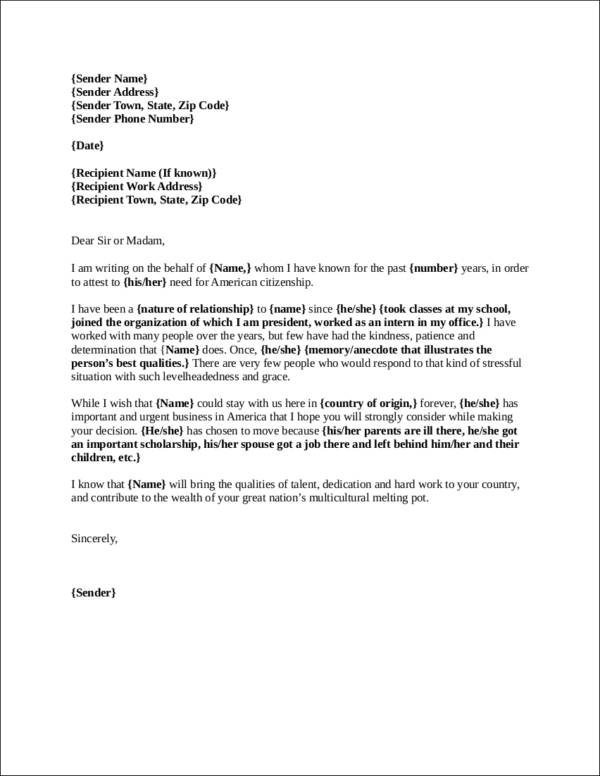 Be honest as possible.You may check Manager Reference Letter. 3. If the requester is migrating with his/her family, talk about the importance of keeping the family together and how being away from the family can have an impact on the requester’s performance when he/she starts working abroad. 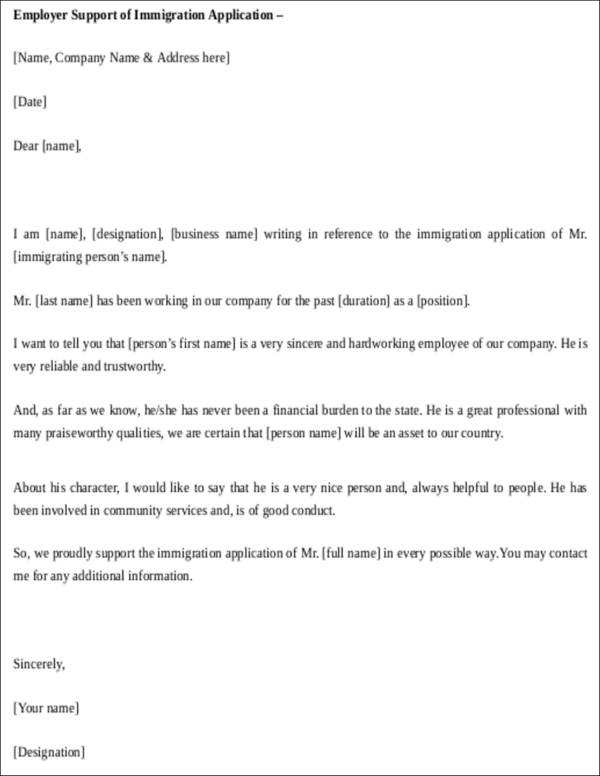 A character reference letter is one of the tools that immigration officers use as a means of gauging whether the requester will be allowed to go out of the country or otherwise. 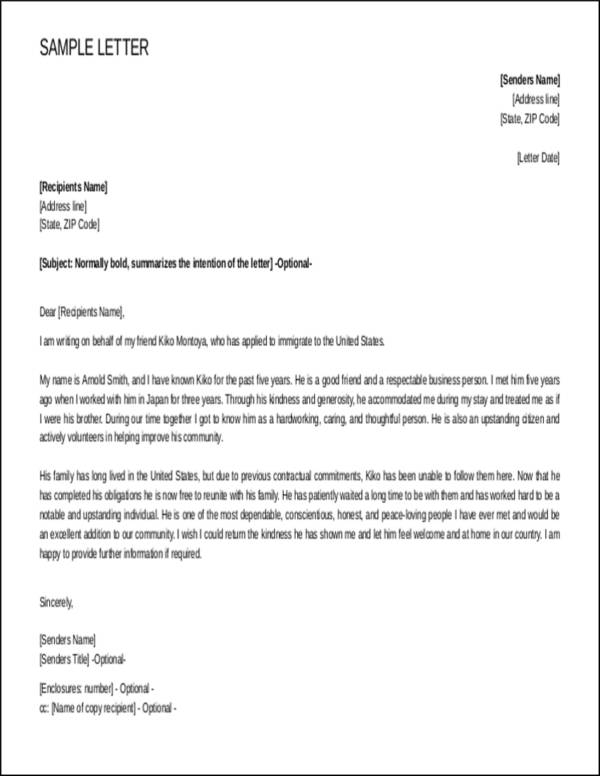 With the correct choice of words and referring to the reference letter samples we have, you are sure to end up with a good letter.